We're pleased to provide an update on recent and upcoming efforts of the Foundation, activities made possible through the generous donations of our supporters. FUNdraising Success in San Diego! 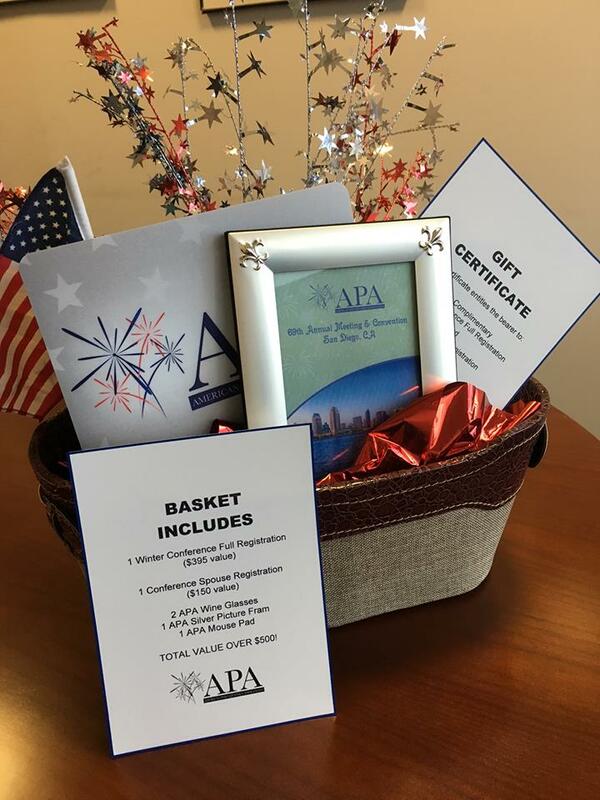 Members donating baskets for the silent auction: Disney Parks Live Entertainment, Hamburg Fireworks, North Central Industries, Pyro Novelties, Phantom Fireworks, RES Pyrotechnics, Ryder Truck Rental, Shanghai Hua Yang International Logistics, Spielbauer Fireworks, and Winco Fireworks. Members donating gift cards for the Pledge Board: Brooke-Stevens, PC, Inter-Oriental Fireworks, Pyro Planet, Ryder, Rosacker, McCue & Huston Insurance, Spirit of '76 Fireworks, and United Pyrotechnics. Members donating live auction items: Jake's Fireworks and Phantom Fireworks. Members placing winning bids & offering pledges - Too Many to List!! Thanks to all who supported this year's fundraising effort!! 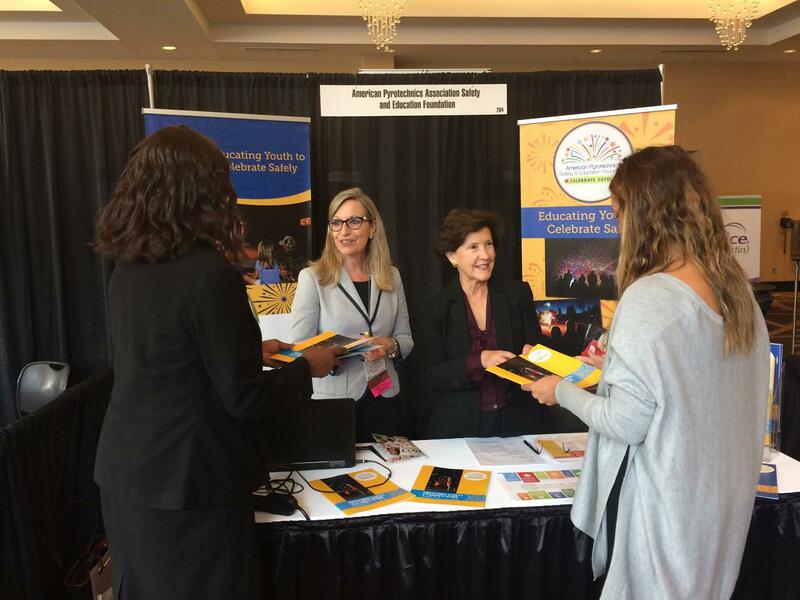 F oundation advocates Julie Heckman and Inez Tenenbaum, former Chairman of the CPSC, met the second week in October with members of the American School Health Association at their convention in St. Louis. 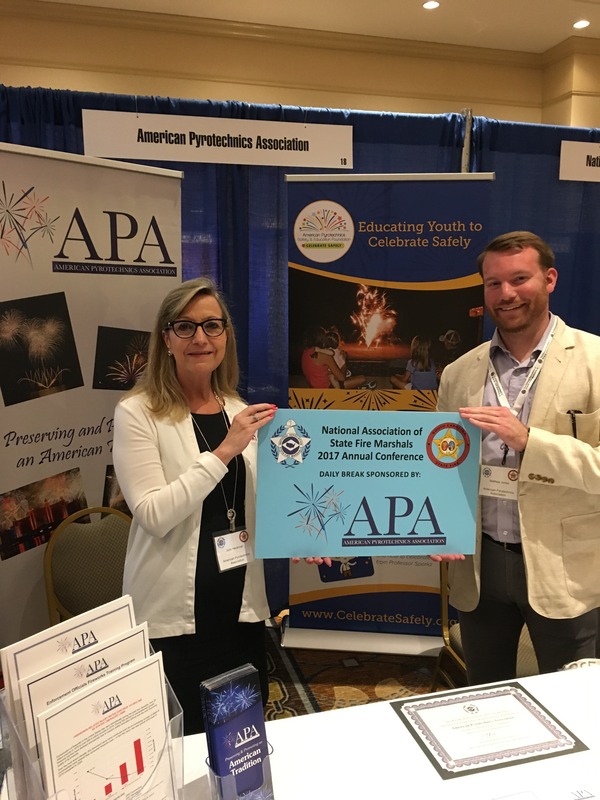 They shared the Foundation's fireworks safety efforts with educators from around the country; presenting at a break-out session and distributing free curriculum kits. The Foundation also exhibited during this year's National Association of State Fire Marshals' convention in Charleston, SC. Officials from around the country were eager to learn more about the Celebrate Safely initiative and were appreciative of the sponsorship support from the Foundation. Thanks to Charles Walker & Matthew Jones, TNT Fireworks for their assistance. 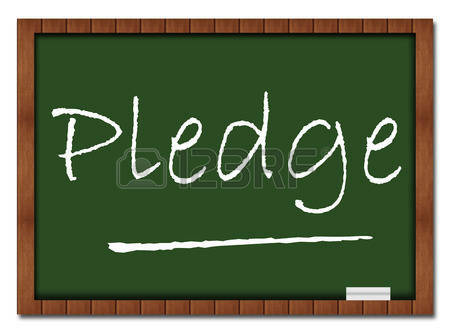 APA's Foundation is providing resources to educators and enforcement officials to assist them in teaching young people to #celebratesafely -- efforts made possible by the generous contributions of APA members! 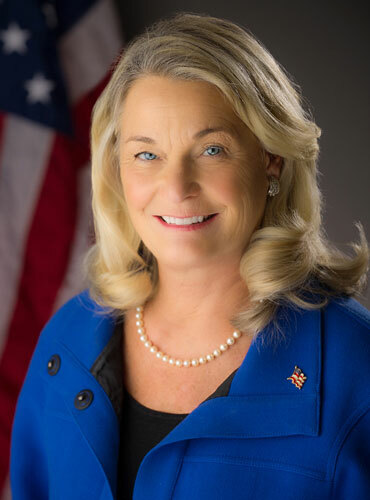 In a statement read during the APA Convention, Acting CPSC Chairman Ann Marie Buerkle, praises the educational efforts of the Foundation. Although pressing issues in Washington, DC forced her to cancel her scheduled appearance in San Diego, she credits the "American Pyrotechnics Safety and Education Foundation's 'Celebrate Safely' campaign as a proactive measure to educate consumers, particularly young people, about fireworks safety. The campaign is impressive, and I am grateful to the APA and the foundation for keeping me and CPSC in the loop on how the campaign is evolving." BOOM! 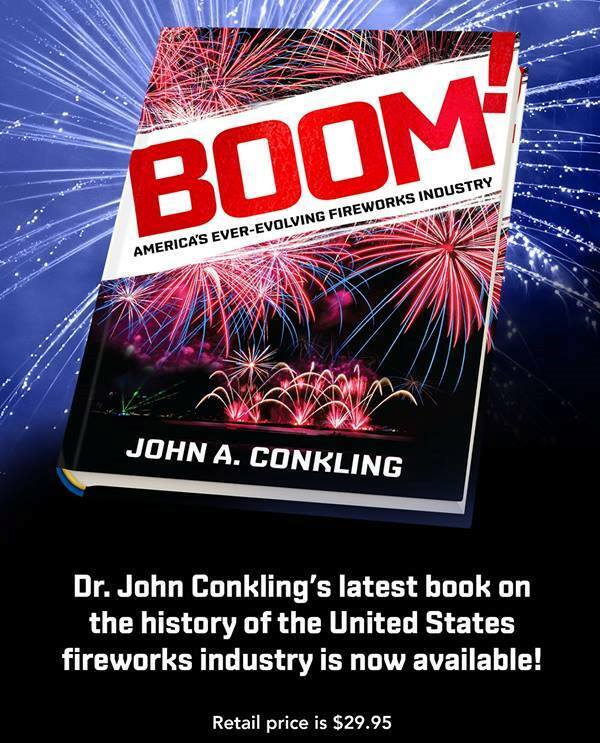 America's Ever-Evolving Fireworks Industry, written by Foundation advisor and former Executive Director of the APA Dr. John Conkling, explores the history and evolution of the U.S. fireworks industry over the past 70 years from World War II to present. A portion of the proceeds will benefit the APA's Safety & Education Foundation, contact Dawn Burbank at Whitman Publishing [email protected] to order your copy!